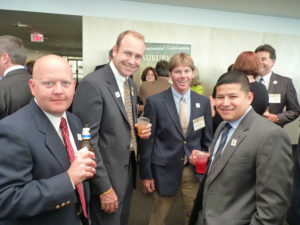 The Chamber’s Leadership Bartow program was established in 1984 to enhance the civic participation of emerging leaders within the greater Bartow area. Every two years, Leadership Bartow selects the best and brightest individuals in the Bartow area to participate in the two-year program oriented to developing leadership skills, fostering understanding of the major issues facing the Bartow area, improving the communications network among leaders of disparate backgrounds and interests and, most importantly, motivating them to contribute through voluntary participation in civic activities. 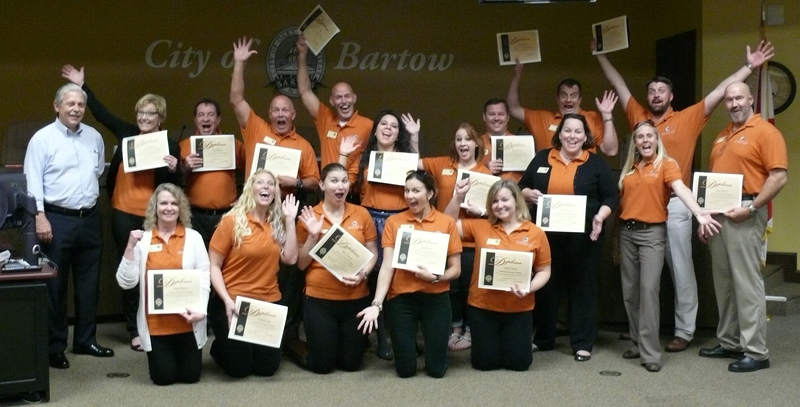 Since its inception, more than 500 individuals have completed the Leadership Bartow program, acquiring the skills, knowledge and passion necessary to participate fully in the life of our community. Moreover, the program has brought together individuals ranging from corporate executives and entrepreneurs, to educators, non-profit managers and public servants. These individuals have forged lasting networks that have proved essential to creating a vital, positive community for current and future generations. Leadership Bartow continues to be a vital part of the overall effort to ensure that the pool of talent from which the community can draw its future leaders continues to be renewed. Two-year program meeting monthly except during the Summer months, beginning in September of even numbered years. Learn more about Leadership Bartow’s goals, and how to sign up for the next class here.